In this series we will explore the inner perception of our anatomy through Yin Yoga. 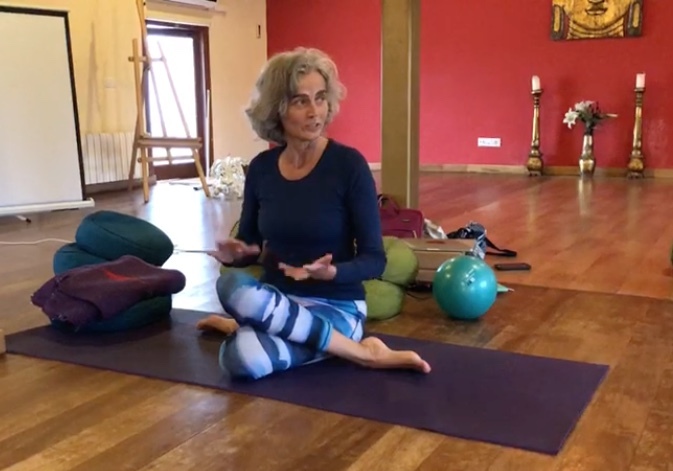 Each workshop starts with a closer look at a particular area of the body, the way it functions, the relationship between the bones, muscles and connective tissue using images and a 3D skeleton, before we ease into a yin yoga sequence in which you will be guided to feel these very structures in your own body. Having first absorbed some general images of human anatomy makes it much easier to make contact with your own physical structure and understand what the different sensations you come across are all about, so you can respond to them with care. This way of observing is a form of mindfulness and the greatest bonus of yin yoga is that it calms the mind. It makes you feel relaxed and refreshed, open and light. Yin Yoga is an excellent practice to help us reach into ourselves, we get lots of time to feel, to adjust, to be with the sensations that arise. It is time itself that allows deep tissue to release and give the joints more breathing space. The gentle approach of yin makes sure we don’t injure ourselves. Quite the opposite: we look for pleasure rather than pain and within it we find a wonderful opportunity to heal. The series is designed to include all aspects of Yin Yoga, but each workshop is a balanced unit in and of itself, so they can be done individually just as well. They are suitable for all abilities, though some experience of yoga is recommended.